It is always important to consider the free spacing on the four sides of the villa housing to enjoy the full aspect of independent house. This will fetch more privacy; hence, it is better to avoid villa housing projects which shared common wall with the adjacent villa. Always try to focus on the key plan and make sure the money you pay for is meaningfully spent with an investment which offers a convenient stay you would have dreamt of. It is very risky to blindly go by brand name and book a villa without paying attention to key plan features. When it comes to villas, it is very important to look at the room allotments. 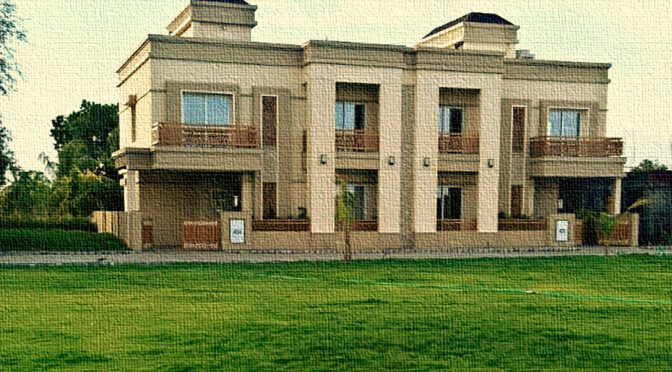 A villa with 3 or 4 bhk should be having flexible planning in room allotments wherein the members of the family should feel the ease communicating. Some plans appear to be complicated as It becomes quiet inconvenient for kids to be allotted a specific space. If you buy a villa which has good open space in terrace area as you can develop that into one or more rooms at your convenience. Buying a villa without any open space in terrace is quite difficult to manage future construction needs. For example, finding one from Meadows at Gokuldham, a beautifully planned villa type housing project is an excellent choice for independent house. Meadows offered by Pacifica Companies illustrate the best side of luxury living within the vicinity of Ahmedabad. One of the biggest mistakes which investors get carried away is the pricing the builders advertise. A branded builder or real estate developer will stay only with the actual and reasonable price. Cheap pricing cannot guarantee for quality of construction. One of the advantages of buying villas is the percentage of UDS offered. A good builder will always tend to provide maximum percentage of UDS when it comes to villa, this will certainly improve the asset value in future. Failure to confirm the details is merely loss to the investor. When you go for Villa models, find one where you can enjoy multiple car parking facility and ample guest parking. This is one of the best ways to stay connected to a luxury living with less limitation for parking space. Moreover, buying an independent housing unit with proposed car parking in common area will stay a disturbing feature. It is very important to find the location of the project before buying it. Investing in a villa located in the city limits certainly will see increase the appreciation rate for your investment when it comes to India based property. When you buy a ready built independent housing project nearby city limit it is very important to make sure if main places are easily accessible from the project point. A special space for garden will enhance the outlook of the house. In the same way try to focus on the space provided for gardening when you invest in villas. This will give satisfaction of living in a independent house. Casa Lake Side, by Pacifica Companies is located in Vadodara where they offer extra land option at additional charges wherein, you can add greenery as per your wish. Spending a great part of your money in independent housing is a big investment indeed but you have to consider the above points and make sure of each aspect before investing completely. The Sneaky Science of Selling Your Home Revealed! November 5, 2015 admin Comments Off on The Sneaky Science of Selling Your Home Revealed!